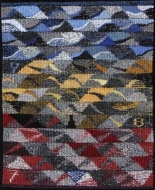 Kinder Glauben (Children Believe) is a tapestry that has as its starting point an internet image. It is to be displayed on the floor. 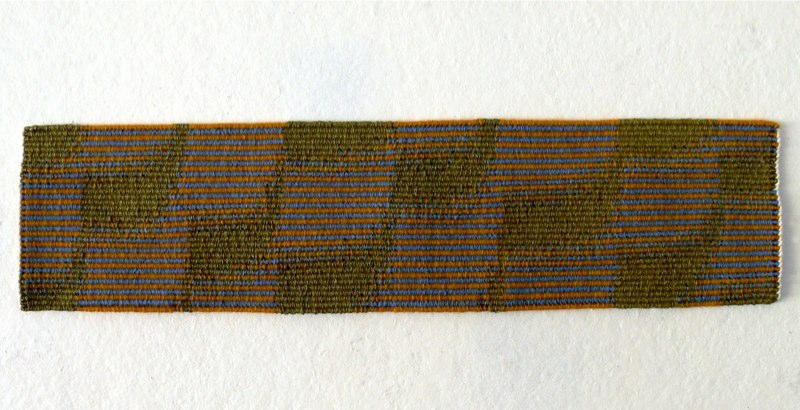 The five pentagons that surround the central scene are fixed by a spiral of cotton thread. In this way the entire work can be carved over a pentagon when it is not being displayed. Each of the two faces, even in different pentagons, link to each other by touch and by look. In the execution of every two pentagons, there are specific languages where materials determine this conversation. At first the cotton threads provide endless opportunities to mix colors in tonal nuances in the featured faces. In a second moment, these same faces are woven with scraps of fabric cut into strips in a different language, but marked by the texture of these materials. These four pentagons form a dome that frames the two central pentagons in which children are met. In all the scenes’ contours, there are several white tones, and a light that reveals and frames the different and repeated scenes, as a call to haptic look. Children who exchange caresses and looks in such a simple form show a phenomenology of sense. Kinder Glauben was designed to be displayed on the floor so that the viewer circles around it and has different perceptions about the work. I was born in 1961; Blumenau, Brazil. I earned my undergraduate degree in Visual Arts in 1983, and I earned my Master’s Degree in Art History in 2009. 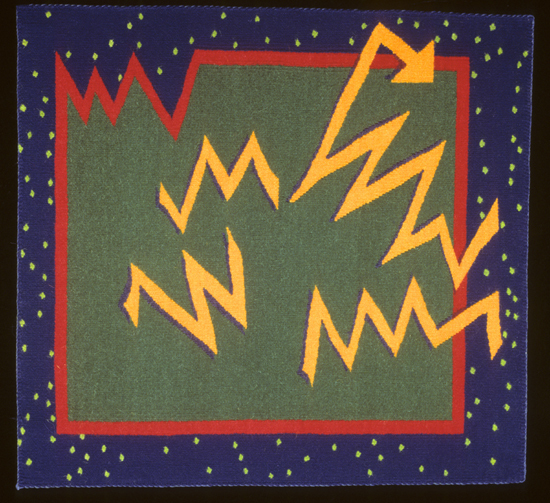 My first contact with tapestry technique on a high loom was at Ernesto Aroztegui’s workshop in 1982. I participated in Jean Pierre Larochette’s workshop in Florianópolis, Brazil, 1995/96. I took part in Sarah Swett and Larochette’s workshop in El Tuito, Mexico in 2011 and another meeting in El Tuito in 2013. I have participated in a tapestry group, The Catarinas, for about 16 years, and sometimes I take tapestry classes at the University and other Institutions.